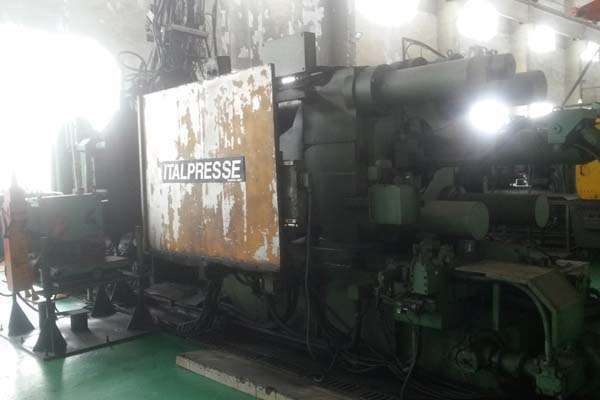 Used Italpresse 750 Metric Ton Horizontal Cold Chamber Aluminum High Pressure Die Casting Machine. Inventory item: DCM-3734. Equipped with automatic sprayer, extractor and ladle.